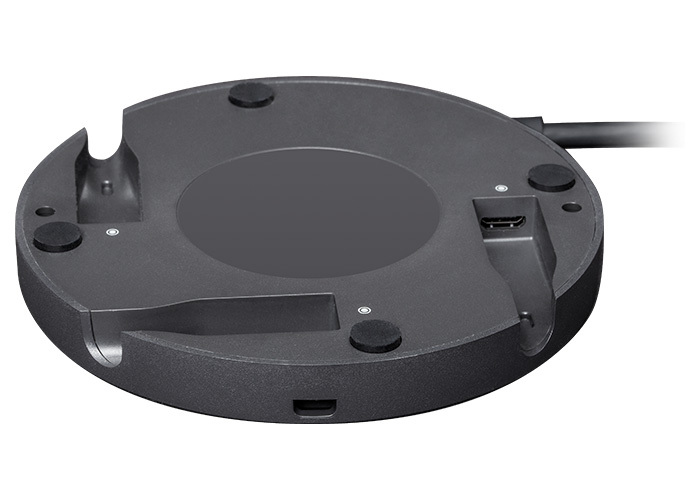 As small conference rooms and huddle spaces grow in popularity, so too does the demand for simple, portable, plug-and-play devices that are easy to use with a variety of web-based platforms. Video conferencing is no longer confined to the boardroom; it’s everywhere, and your hardware is required to be as agile as your teams. 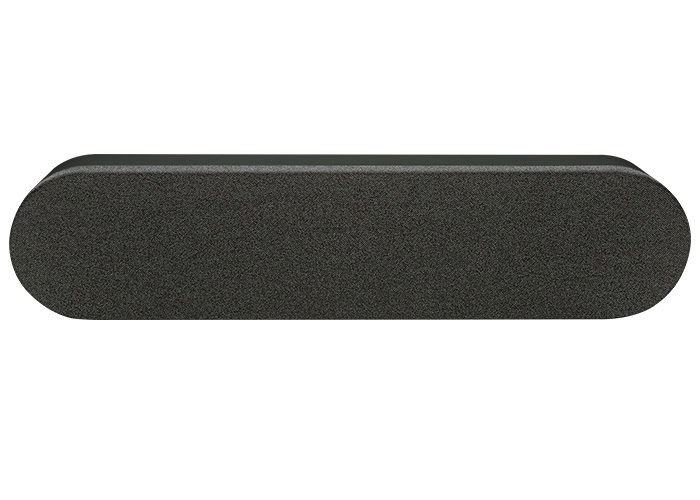 Introducing the Logitech Meetup – a sleek sound bar camera specifically designed for the huddle room and packed with innovative tech for enhanced video in small spaces. 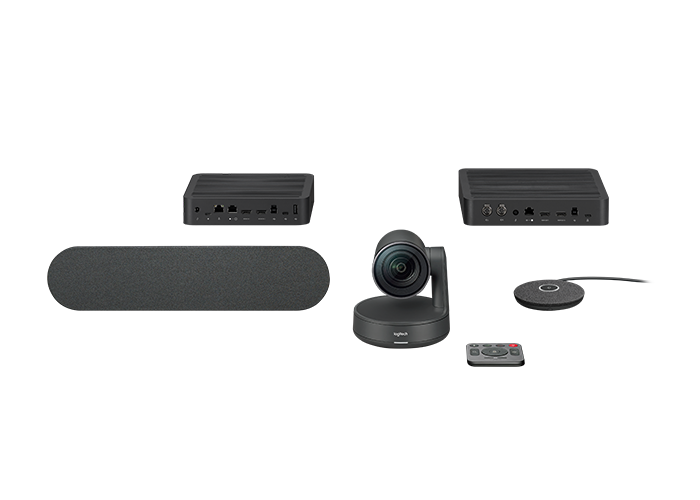 On paper, the MeetUp boasts specs that, while impressive, are becoming the standard for the many all-in-one, sound bar style of USB conference cams on the market. The brilliance of this particular device is not contained in its specs. It’s not until you first use the MeetUp that you realise just what amazing value this system represents. As always, Logitech have excelled at delivering a sleek, professional aesthetic that not only looks like a superior quality device but feels every bit as luxe. The MeetUp does away with creaky, cheap plastic parts and instead opts for beautifully matte-finished metallic components. From the camera itself to the sleek, square-shaped table top remote, it’s clear that nothing about the MeetUp was left to chance or added as an afterthought. The MeetUp captures a mind-blowing amount of detail and delivers clear, crisp video. This is especially impressive when you consider that the out-of-the-box configuration (using USB 2.0) offers just 1080p resolution. The MeetUp can deliver 4K video with the use of a USB 3.0, but the stock cable included in the kit is a USB 2.0. There are other USB cameras that will offer 4K as the standard, but the MeetUp is proof that a high quality image is not just about the number of pixels. Other factors like lens quality, lens material, light sensor performance and effective focus control are just as critical to deliver imaging perfection, and the MeetUp certainly succeeds. The MeetUp also boasts a super-wide 120° FOV, enhanced by its additional pan/tilt movement that expands this further to a total 175° FOV. That’s more than even a GoPro. Some may consider this overkill, as in most small meeting room situations (which the MeetUp is designed for) the additional pan/tilt controls are hardly needed. Logitech have also rolled out their new RightSight software update for public beta, which the MeetUp can be upgraded to. This feature adds the extra element of fully autonomous intelligent zooming and cropping of video in any meeting, which ensures all people present in the room will be included in frame. Though, upgrading and using this feature requires a Windows 10 machine. The MeetUp is designed to work with huddle room acoustics to deliver exceptional sound in small rooms, and it does, with three beamforming mics that deliver incredible audio pickup. The audio output is clear and crisp but also reinforced by a surprising level of mid-bass punch, very reminiscent of Logitech’s legendary series of PC Audio systems, purchased by millions of PC users over the last two decades. In true Logitech style, the MeetUp is incredibly intuitive and user-friendly, living up to its status as a plug-and-play device. Everything required to mount the MeetUp on a wall is included in the box. However, the MeetUp does this in a clever way, with a built-in stand which can be pivoted to use as a table top stand or a flat wall bracket. The table top remote is a nice touch, and it’s an RF style remote (as opposed to Infrared) which means that line-of-sight no longer matters. The remote will work perfectly in the same room, regardless of size or position, so obstacles like whiteboards, laptop screens or projector screens will pose no operational threats. If that’s not enough functionality for you, the MeetUp also has a free smartphone app that turns your phone into a remote. One surprising feature is the lack of Video output (or even pass-through) on the MeetUp. Many other units in this genre do feature video outputs, including the tiny Logitech ConferenceCam Connect, but the MeetUp does not. Perhaps this is intentional to preserve the minimalist design that makes the MeetUp so simple to setup and connect. While such a feature is not really needed (media is transported by the USB cable to the host PC) it does seem like somewhat of an oversight as the MeetUp is designed to be installed in close proximity to a large display panel or TV, and has a VESA TV mount available to do just that. 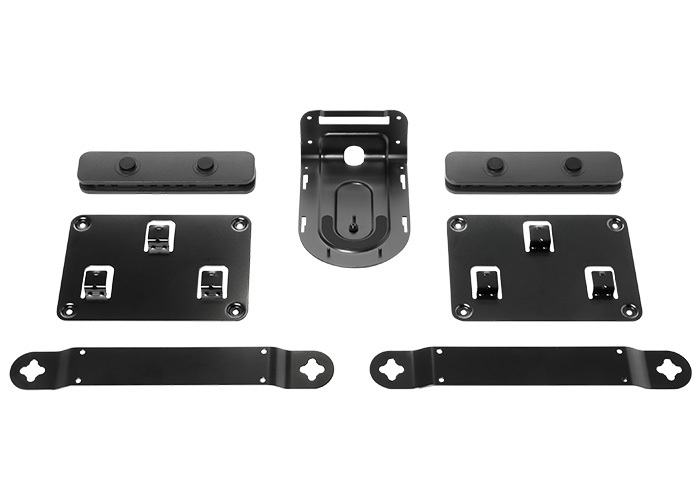 While it’s not essential to connect the MeetUp to a TV, it would make a lot of sense to have a Video output as this would be preferable to the alternative -running a cable from the same host PC back to the TV, effectively doubling the cables from the wall to the PC/table. Fortunately, the MeetUp comes supplied with an extra-long USB cable, measuring around 5m in length. The cable is designed to avoid tangles thanks to its very smooth coating, which means it won’t kink or “remember” being coiled up tightly, never needing to be stretched out and straightened. The MeetUp is recommended for anyone looking for a quality huddle space device that also offers value for money. 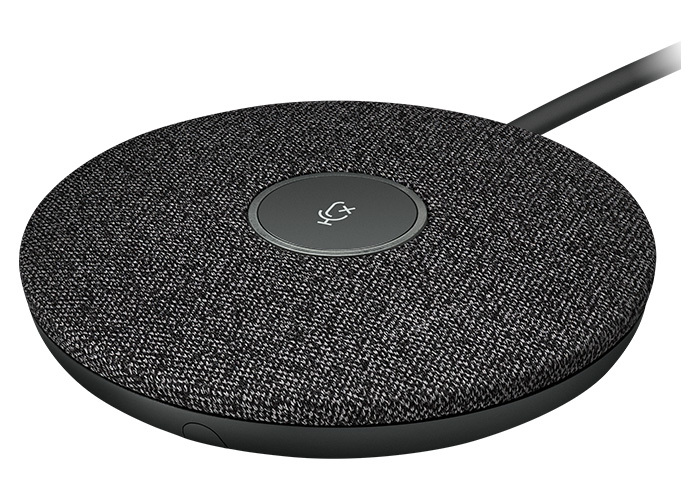 Continuing to disrupt the market for expensive boardroom-based endpoints and proprietary hardware that’s not interoperable, Logitech continues to deliver exciting, low cost, plug-and-play solutions that play with any web-based conferencing platform. The MeetUp is a sleek machine that offers more than its price point. While it may not be the best choice for the Boardroom or a larger space, it does excel at what it’s designed for – amazing image quality and framing capabilities in tight spaces. With high quality materials, thoughtful design and innovative tech that enhances the conferencing experience, the MeetUp is certainly a good buy for your small meeting rooms.